As adults we tend to either supress or simply ignore our inner child. We are adults now and different rules apply. That is the socially accepted order of things and who wants to be different? But no matter how much we repress, neglect or ignore our inner child, it is always with us and it plays a big part in how we lead our adult lives. The tricky part is that the ways of our inner child are mostly played out through our subconscious and we may not even be aware of its influence in our everyday behaviour. It's important to remember that our personality is honed during childhood. A lot of our instinctual behaviours, our actions and reactions, are based on what we have learnt or in some cases endured during those early years. And those ingrained behaviours are often the most difficult to shed, even when we realise that they may be destructive to our lifestyle, to our relationships, our health and most importantly to our happiness and peace of mind. As with most things awareness is key, so spend some time paying attention to your inner child and have a listen to what it has to say. It might be an important step towards your happiness. The guided meditations on Healing the Inner Child are a great way to re-connect to some of your childhood memories and bring them to the forefront of your mind. The first step towards healing is to recognise if there are any issues. 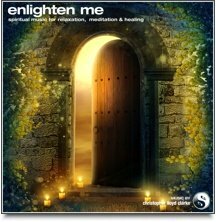 If you do find yourself confronted by memories that you would have rather forgotten, then these meditations will help you to begin the healing process. With their slow paced guidance, they provide you with a comfortable amount of time to bring up any memories that might require a healing hand. For more details on the meditations, please see the individual track descriptions below. Many of us didn’t have a perfect childhood whilst we were growing up. In our innocence we can be hurt or let down by our parents and guardians, which can leave us feeling unsafe, hurt or afraid. It can be cold comfort, but our parents did the best job they knew how. Often, their childhood wasn’t ideal either. As we grow into adulthood, a part of ourselves, our inner child is always with us. If we have unresolved issues from our childhood, it can create blocks and trauma in our adult life. Sometimes as a child we may repress feelings or trauma to protect ourselves or because we felt unsafe to express ourselves at the time. If you have experienced this, your inner child may need some healing. The good news is that it is never too late to heal wounds of the past. In fact often these traumatic events become frozen or trapped in time, until we are ready to face and clear them. It is not always an easy process, but a rewarding one. The meditations on this album will assist you in this process of healing your inner child. You can use these meditations to support you during your healing journey. You may also like to have some assistance from a trained counsellor to help you in this process, particularly if you have some very deep traumatic events to clear. It is advisable to take this process gradually, as there can be many layers of pain to heal and release. 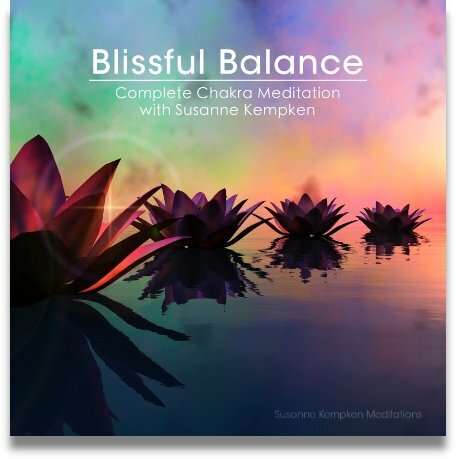 To begin with, it is recommended to listen to these meditations once or twice a week and then have a rest period to reintegrate and rebalance yourself again. A brief introduction explaining what the inner child is and how we can begin to heal our inner child. Some guidelines are also discussed on how to reap the most from your meditation practice. 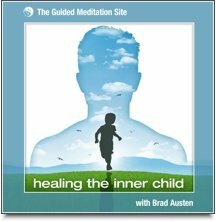 In this meditation Brad guides you on a journey to heal your inner child. He guides you through a visualization to go back into your past and clear and heal painful memories. Together you will call upon the violet transmuting flame to assist you to clear and heal these emotions as they rise to the surface. In this meditation Brad guides you on a journey to release your anger and resentment towards people that may have hurt you during your childhood. He guides you through a visualization where you are in a cinema theatre and begin to watch the memories from your childhood play out on the screen. As you confront and relive these memories, you are given the opportunity to release and heal your pain and anger in a safe space. 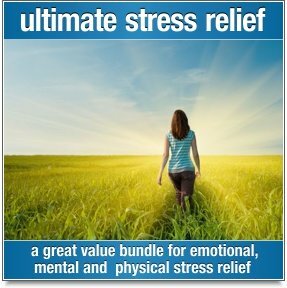 In this meditation Brad guides you on a journey to recreate a traumatic or unhappy event from your past to heal the memory of it. He guides you to visualize yourself on a timeline where you walk back into your past and clear and release the pain, so you may be clear and healed in the present.